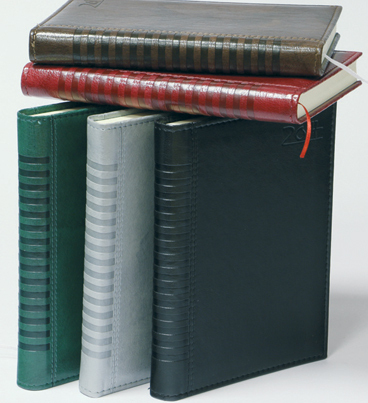 Notebook from Thermal-active leather and round spine. Siding of the cover with thread. Possibility for hot-embossing element on the cover.